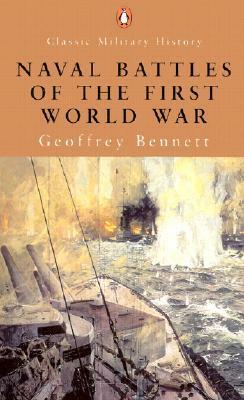 Bennett, Geoffrey, NAVAL BATTLES OF THE FIRST WORLD WAR. Christensen, Christen, BLOCKADE AND JUNGLE. NEW copy. Battery Press, 2003. Hardcover issued without dust jacket. Photographs, map, 270 pages. 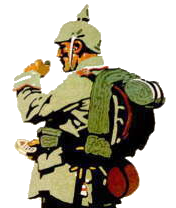 ~~~ The story of a German sailor who participated in the German East Africa campaign under General Lettow-Vorbeck. Holloway, S.M., FROM TRENCH AND TURRET: ROYAL MARINES LETTERS AND DIARIES 1914-1918. 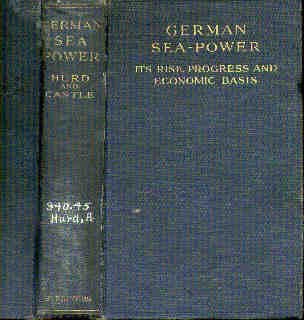 Hurd, Archibald, and Henry Castle, GERMAN SEA POWER: ITS RISE, PROGRESS AND ECONOMIC BASIS, WITH MAPS AND APPENDICES GIVING THE FLEET LAWS, ETC. Charles Scriber's Sons., 1914. Good+. Ex-library, with white library numbers on spine, rear card pocket, and bookplate. Other markings minimal. Some rippling, apparently from water damage, to spine, which is rippled, but otherwise sound. Some discoloration to back cover. Edge of spine worn through in one place (about ½ inch flaw) between spine and front cover, also one top corner of spine worn through, and one nick at top of spine. Otherwise covers show almost no edgewear, and no chipping. This title currently in print (reprint edition) at $39.95. Appendices, tables, two fold-out maps, index. 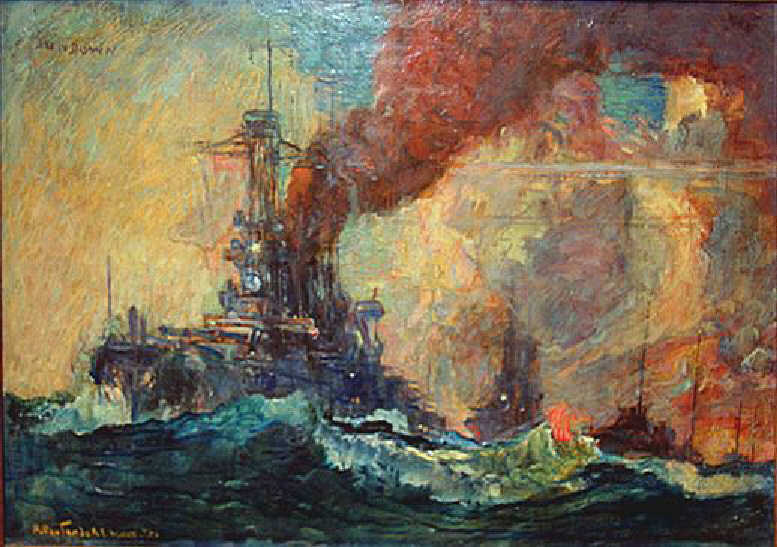 Fawcett, HW & GW Hooper, THE FIGHTING AT JUTLAND. Fine/Fine. NEW copy, hardcover with dust jacket. (Annapolis: Naval Institute Press, 2001). 440 pages. 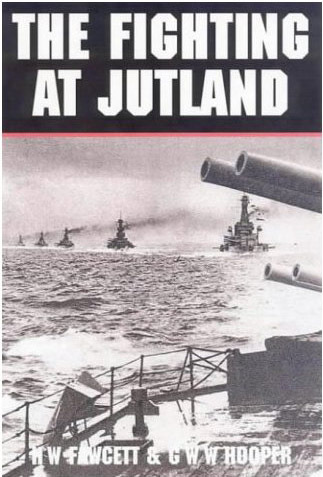 ~~~ Jutland again - but a very different approach and an extremely useful tool for those studying the events that led to the loss of ships on both sides. At the end of WW1, there was considerable public disquiet about the outcome of the Battle of Jutland. This was largely based on ignorance - but, even today, there are those who still think Admiral Jellicoe should have been court-martialled for turning his fleet away from the enemy. 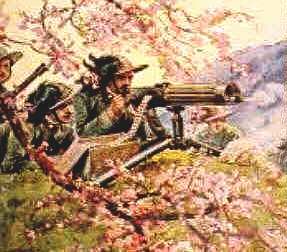 What few people realise, however, is that this was the first major action between two enemy fleets since the Battle of Trafalgar in 1805. During those intervening 111 years, the modern warship had evolved into a gigantic thing of steel with revolving gun turrets. 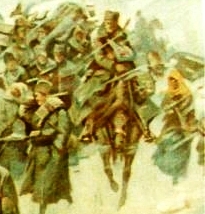 Tactics, however, had never changed and 'crossing the enemy's 'T'' was still enshrined in concrete - as the teaching of the day. 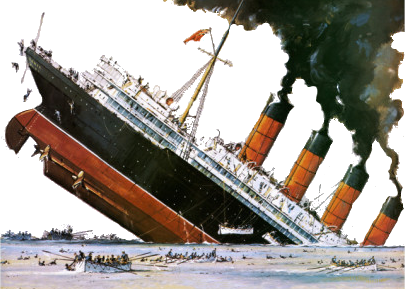 In any scenario whereby two fleets - sailing in line astern, are trying to achieve this advantage, it is also perilously important to ensure the leading ships in one's own fleet are not crossed! It was, therefore, perfectly in order for the Commander to manoeuvre his fleet either towards or away from the enemy - depending on whether he was in a position to gain this supreme advantage or ensure the enemy did not. Some say Jellicoe had very good reasons for turning away - whereas others disagree. In order to give the British public a better idea of exactly what went on during the Battle, two Naval Officers - who had also been present at the Battle, collected together 60 accounts from those who had fought in British ships. 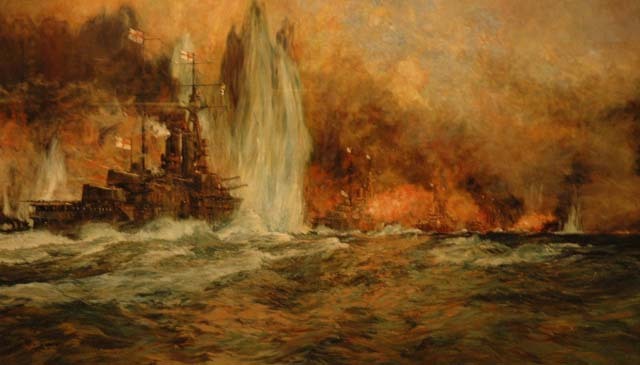 Their purpose was to give the reader an insight into what had gone on throughout the British fleet and across the RN rank structure at this time. Suitably edited, they then placed these contributions together in the chronological order of the Battle. Politically sensitive, however, it was difficult to get the material published with only half the material finally seeing print at that time. This book contains all the original text and also the carefully chosen photographs, sketches and charts which were so important to that first edition. Entirely re-set to make it more readable, this is an excellent book - for those contemplating a trip to the wrecks in question - and for those who are not. ~~~ Currently in print at $45.00. 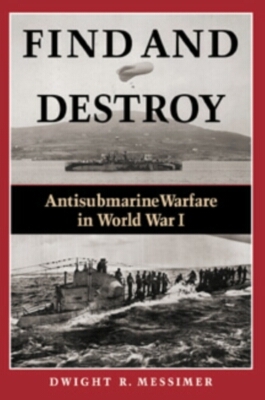 Messimer, Dwight R., FIND AND DESTROY: Antisubmarine Warfare in World War I. NEW copy, hardcover with dust jacket. Naval Institute Press, 2001. Photographs, appendices, notes, bibliography, index, 298 pages. 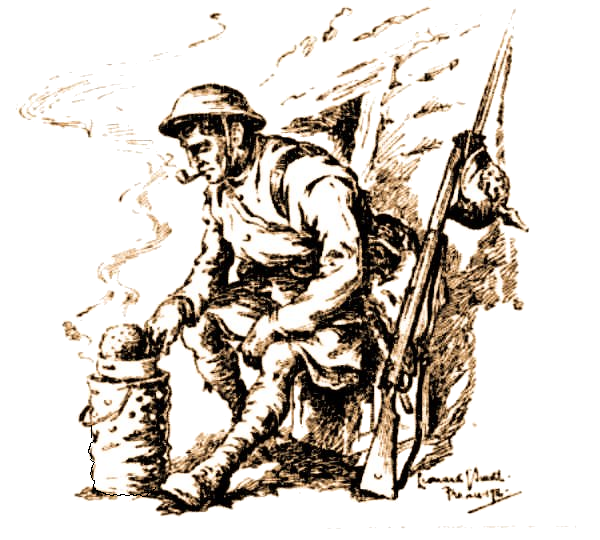 "World War I was the crucible of antisubmarine warfare (ASW), and the years of trial and error between 1914 and 1918 gave rise to the weapons and tactics used by today’s ASW forces. 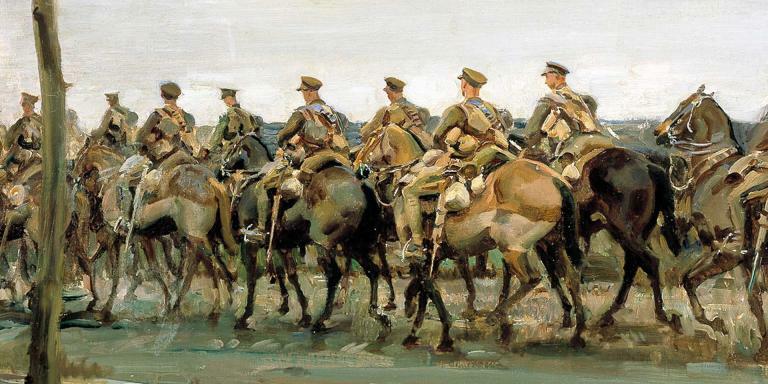 With this study, military historian Dwight Messimer examines the weapons, tactics, and organization used by all the belligerents during the war and provides some surprising findings. Because he draws heavily from personal accounts as well as from official records, his book will appeal to both serious readers seeking hard facts and to general readers who like stories about war at sea. Messimer tells the story from both sides. German survivors who escaped from sunken U-boats explain what it was like to face the newly developed ASW weapons beneath the surface, and pilots tell what it was like from above. The author describes the German’s well-organized and efficient ASW organization in the Baltic and the Helgoland Bight. He also discusses the weapons developed during the war that proved to be largely ineffective or outright failures. While his evaluations of the contributions made by aircraft and Q-ships put them in the category of only marginally effective, his analysis of the effectiveness of politics deems that ASW "weapon" the most effective of all. Solidly grounded in the best primary sources available in England, the United States, and Germany, this book is the first to address the ASW of all World War I belligerents. " Moffat, Alexander W., Captain, USNR (Ret), MAVERICK NAVY. 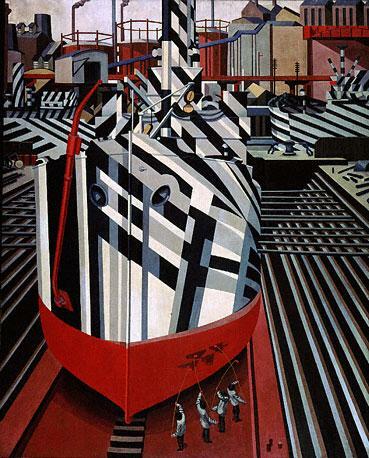 A narrative memoir of the little-known	and largely forgotten anti-submarine warfare in World War I.
Paine, Ralph D., THE CORSAIR IN THE WAR ZONE. Parker, JP, Commodore US Navy, INTERNATIONAL LAW DOCUMENTS. Pearce, George F,. THE U.S. NAVY IN PENSACOLA: FROM SAILING SHIPS TO NAVAL AVIATION (1825-1930). Pensacola: University of West Florida, 1980. Samson, Charles R., FLIGHTS AND FIGHTS. NEW copy, hardcover issued without dustjacket. 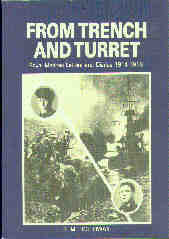 Battery Press, 1990; reprint of the original 1930 edition. Photographs, maps, 372 pages. "Samson was a pioneer airman in the British Royal Navy. 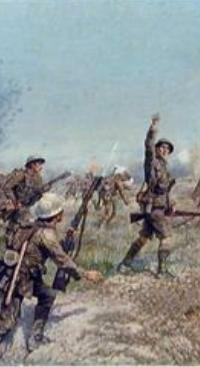 This memoir covers his varied service incl with armoured cars in Belgium August to November of 1914. Then he flew RNAS a/c on raids from Belgium Nov. 1914 ro Feb. 1915. 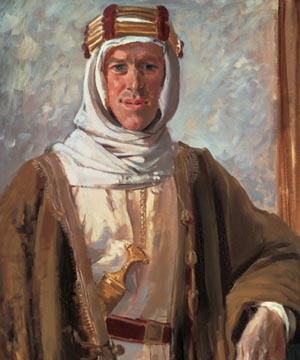 He then transfered to the Mediterreanean where he flew seaplanes at Gallipoli March to Dec. 1915. He commanded the seaplance carrier BEN-MY-CHREE which operated against the Turks off the palestine coast may 1916 to jan.1917 till sunk by a sub. 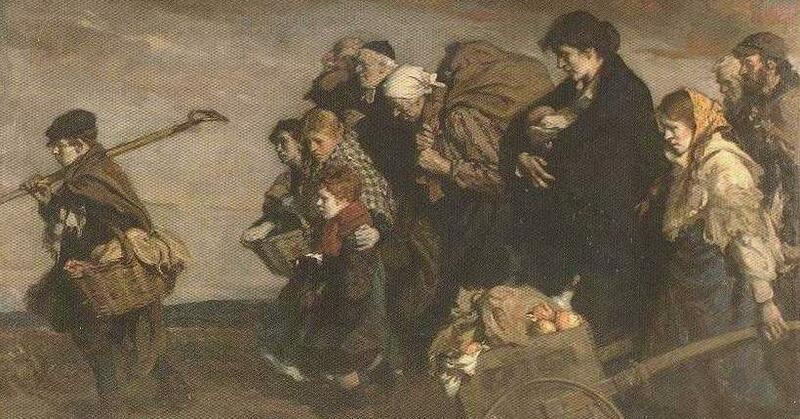 His final assignment was CO of the Great Yarmouth air station in England in the last year of the war." Scheer, Admiral Reinhard, GERMANY'S HIGH SEAS FLEET IN THE WORLD WAR . NEW copy. Battery Press, 2002. Hardcover issued without dust jacket. Maps, 376 pages. 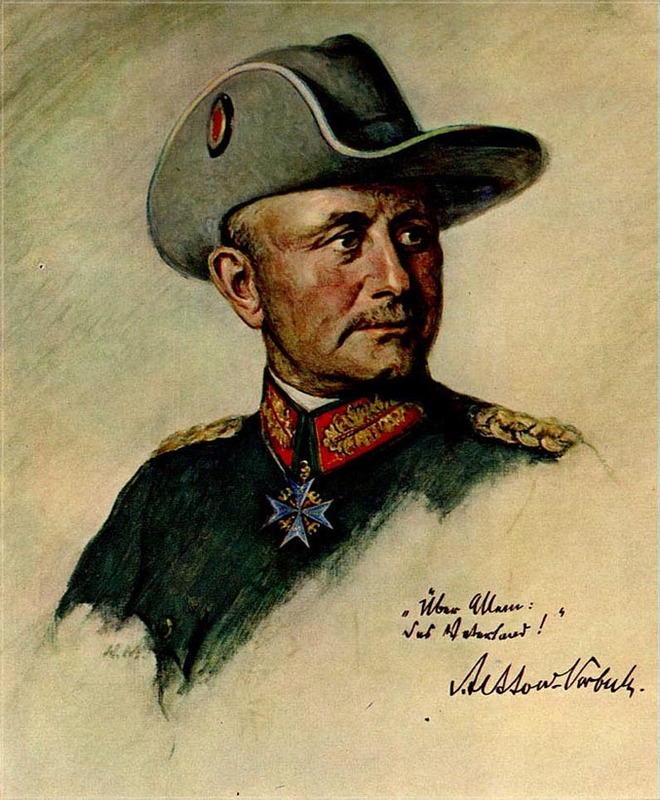 ~~~ The author commanded the German High Seas Fleet at Jutland. Wolfe, Robert, Chief, Modern Military Headquarters Branch, Military Archives Division. U-BOATS AND T-BOATS, 1914-1918: GUIDES TO THE MICROFILMED RECORDS OF THE GERMAN NAVY, 1850-1945: No. 1 . National Archives and Records Service, US General Services Administration, Washington DC, 1984., VG-. 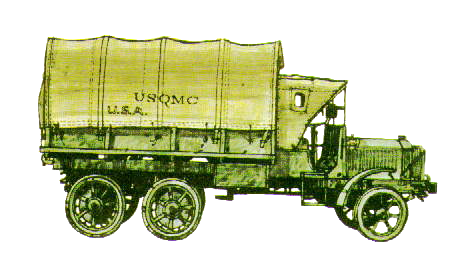 Stiff wraps, 8.5x11. Typescript. Bottom corners dog-eared, bottom corner of front cover missing. Binding otherwise tight, interior clean. Table of Contents as follows: Introduction; Brief History of the German Navy; History of the Tambach Archives; Arrangement of the Records; Use of this Guide; Glossary of Selected German Terms and Abbreviations; Table of Comparative Ranks; Table of Organization, 1917 (excerpt from PG 83683); List of U-Boat and T-Boat War Journals not described in this Guide; Suggestion for Citing Microfilm to Captured German and Related Records; Published Guides to German Records Microfilmed at Alexandria, Virginia; Captured German and Related Records (as of 1984); Register of Descriptions of PG Record Items; Introduction to the Index; Index to the Record Items Described in the Register; Instructions for Ordering Microfilm; Aerial View of the Tambach Castle; Map of Tambach~Coburg, Upper Franconia. 357 pp.